Here are some fun scavenger hunt list ideas. 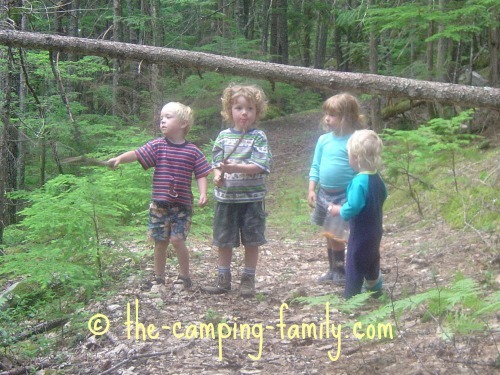 A scavenger hunt is great fun on a family camping trip! It can help sharpen your powers of observation, too! 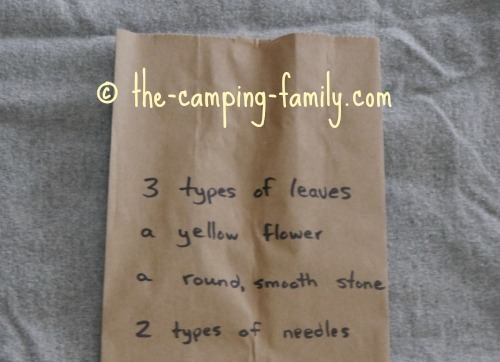 A scavenger hunt is the perfect camping game! All ages can participate equally in a scavenger hunt. Sometimes the little ones have better powers of observation than the adults! Just make a new list and you are ready to play some more - and you'll probably want to, because a scavenger hunt is so much fun! No matter where you are camping - near the ocean, by the forest, or in the desert; in the wilderness or close to town - you can make a list that fits your location. All you need for a basic scavenger hunt are paper and pencils. Get into pairs or small groups. Have each group make a list of 10 items. I'll give you some ideas to get started, but you'll soon find that coming up with your own scavenger hunt list ideas is part of the fun. If you're really not feeling creative, you can find lots of great scavenger hunt list ideas here. Pass the lists around so that each group has a list made by another group. Make sure everyone understands the expectations. Remind younger children to stay with the group and to respect the privacy of your neighbors. Discuss any safety hazards in the area - like traffic, water, animals, and poison ivy - and make sure that everyone knows how to stay safe. 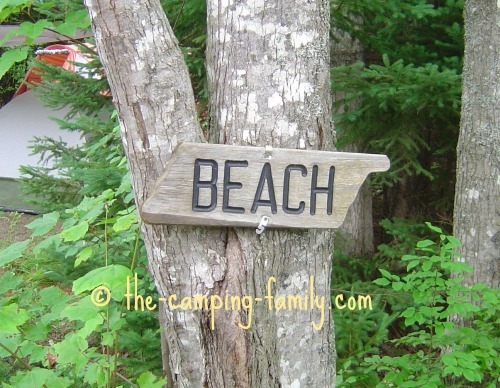 Do you have to stay on the campsite? If not, how far from the campsite can you go? How will you know when the time is up? Find as many items on your list as you can. When the time is up - or when you have found all of the items - return to the starting point. Spread out your booty on the picnic table and see what you have. You may want to have a prize for the group who found the most items, or you may want to keep it non-competitive. It's up to you! Why not end your scavenger hunt with a celebratory batch of Smores for everyone? Click here to learn how to make Smores. In the traditional version, you actually pick up the items and bring them back with you. Is it okay to pick leaves and flowers? Can we pick up insects or other small animals? Supply each person or group with a paper bag. Write the items on the bag, and have the players put the objects in the bag. 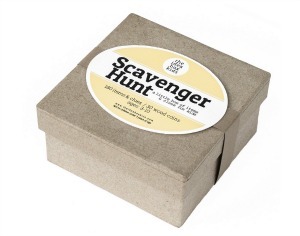 Here's a cool idea: a ready-made scavenger hunt in a box. Pick a wooden coin from the box, read the list of six objects, and go find them! In this game, the list ideas are endless! Give each group a digital camera or a cell phone with camera. Instead of bringing items back to camp, they take photographs! This lets you avoid the dilemma of whether it's okay to pick up living things. It's especially fun to come up with ideas for a camera scavenger hunt! How creative can you be? Have a scavenger hunt in the car! When you have heard, "Are we there yet?" one time too many, pull out one of these travel scavenger hunt games. The miles will fly by! These games can be played over and over again. Every time you travel, it's like playing a brand new game! We look forward to long road trips so that we can play these games! Scavenger hunts are fun at home, too! Why not have a scavenger hunt at home - for a birthday party, a youth group get-together, or just a way to keep the kids occupied on a rainy day? Use the guidelines above, or try one of these ready-made scavenger hunt kits. 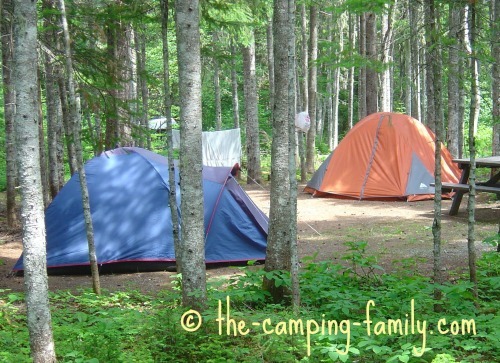 Now that you have lots of scavenger hunt list ideas, check out these other ideas for camping games. Planning a camping trip? 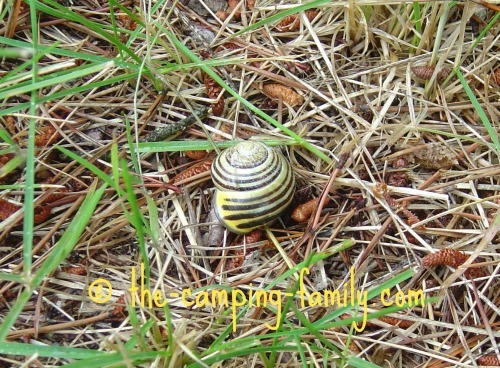 Visit The Camping Familiy home page. I have lots of ideas to make your trip a success!